Good yielding medium early, white fleshed French fry variety for the fast-food (QSR) market. 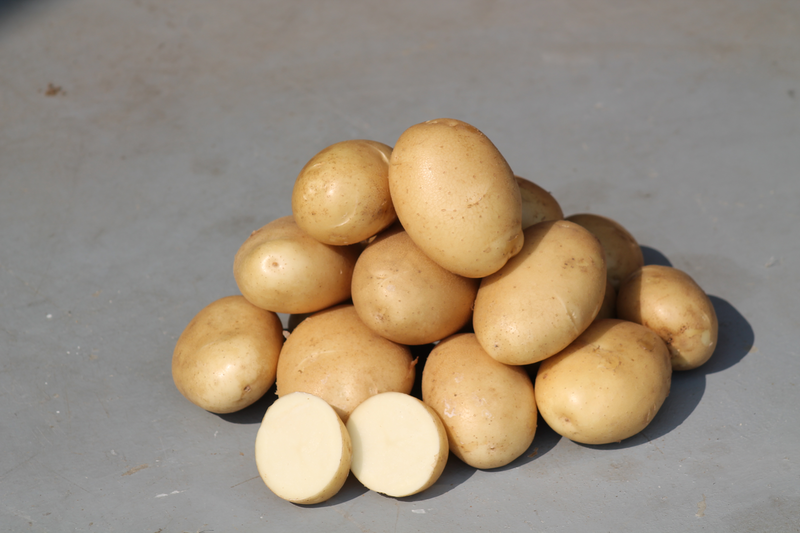 Fairly big, uniformly-sized long oval tubers with shallow eyes. Very strong and stable processing properties. Can be grown with high yields on almost all soil types. Good storability.